Plot: Summon a 1/1 Kwama Forager in each lane. 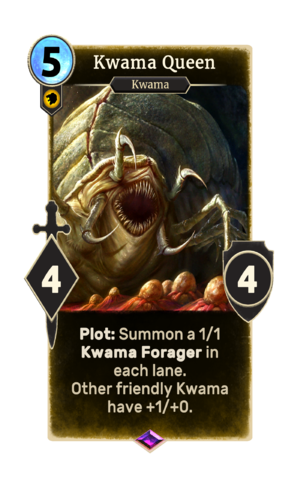 Kwama Queen is an epic Willpower creature card. It is part of the Houses of Morrowind expansion.